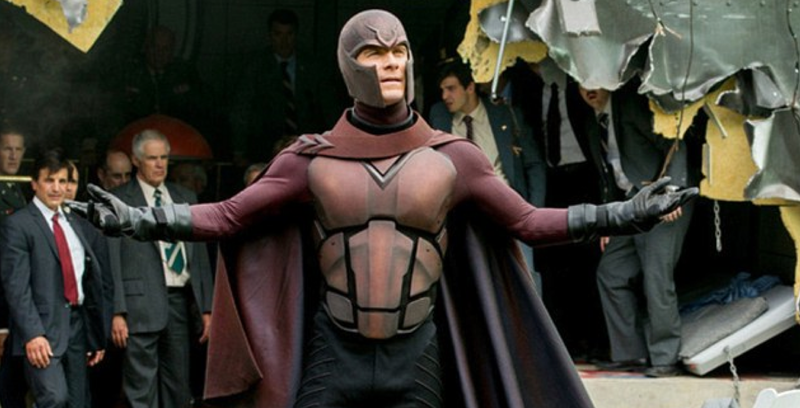 X-Men: Days Of Future a Past hit theaters this Memorial Day weekend and will certainly dominate the box office; but does it love up to the hype? Being “the most expensive superhero movie ever made” and uniting two distinct trilogies is no easy task; but this film does the best it can to give moviegoers a truly unique experience. The number one draw for this movie is clearly the cast, and that is where it truly shines. This isn’t just one group team up like The Avengers, this is basically every mutant you’ve come to love from two trilogies coming together in one film. 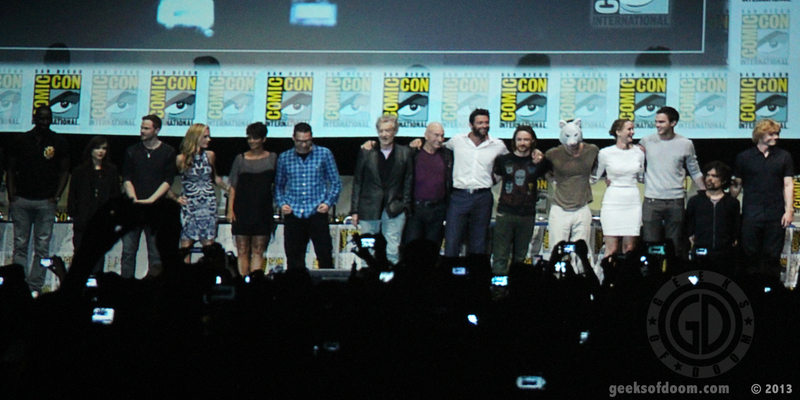 Whether you love Patrick Stewart, Ian McKellen, Hugh Jackman, Halle Berry, Ellen Page, and everyone else from the original three X-Men films; or James McAvoy, Michael Fassbender, Jennifer Lawrence and everyone from the new trilogy, this film has something to unite X-Men movie fans all the way from 2000. As for specifics: Sir Patrick Stewart and Ian McKellen ar simply amazing. Besides having an amazing bromance – I’m sure you’ve all seen the photos of their New York antics – they are two of the most amazing actors of our time; and seeing them working side by side, back in their element, was more than enough to justify buying a ticket to see this film. Hugh Jackman is well, Hugh Jackman. I don’t think he can do a role and not be completely awesome. As for the new crew, McAvoy and Fassbender completely own their roles as the younger Professor X and Magneto. These two usually portray two sides of the same coin, but here we see a more complete side to their characters that have their own self-contained complexities and inner conflicts. Last but not least is Jennifer Lawrence as Mystique. She’s that rare actress that makes you think one second ‘My God she is stunning’ and in the next second think ‘Oh my God I wish we were drinking buddies’. It is this duality – as well as her impressive acting skills – that make her the perfect choice to play the shape-shifting Mystique. With such a packed cast, it’s understandable that the plot might suffer a bit – though not in the way you’d think. Yes, combining two distinct trilogies via the plot device of time travel is outlandish, but it actually works here. As we learned in the trailers, Wolverine himself isn’t sent back to the past, but his consciousness is. This actually helps the film avoid some of the usual paradoxes of time travel (ie: upsetting parents meeting, interacting with past self, etc). All in all the time travel story is very well executed. The only downside is toward the climax of the film. Something occurs that doesn’t necessarily seem … well necessary. It’s hard to explain without spoiling anything, but just know that it gets resolved nicely – so in the end, no harm no foul. One final note on this film is how much just doesn’t seem to fit quite right. I can’t go into specifics here;but there will be moments when you feel something else would have made more sense – or was omitted -; and you’d be right. At over 2 hours in length, this film actually cut a lot of parts out in order to keep the film from getting any longer. Again, for a full explanation of all these story points in question, please await my Spoiler-filled article. Ever since X-Men Origins: Wolverine came out in 2009, FOX’s X-Men franchise became riddled with discontinuities. This only got worse with the releases of X-Men: First Class and The Wolverine; so when we were told X-Men: Days Of Future Past was going to fix some of these continuities, fans were excited to see if it could be done. 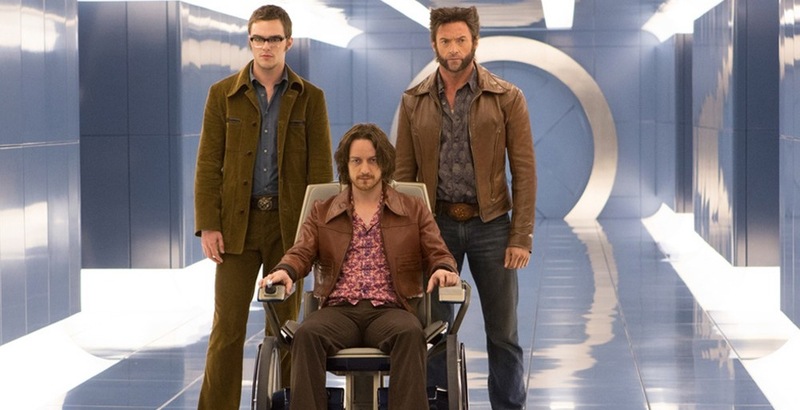 In fact there are several parts in the film when the future X-Men talk about how ‘they get a second chance’, which sometimes seems like a double meaning – fix their apocalyptic future and the horror that was X-Men: The Last Stand. Now without giving anything away, this film does fix all the continuity issues – WELL 90% of them. For the record, this is true only if you pretend X-Men Origins: Wolverine never happened – which I’m pretty sure everyone is okay with. As for the remaining 10% of discontinuity, it’s minimal and in the end doesn’t really matter for reasons that will be explained in my next article – that will involve spoilers. Even though this film isn’t part of the Marvel Cinematic Universe, don’t for a second think you’re spared from an awesome post credits scene. So stay till the VERY end of the credits. Not the initial set of credits, but the end of the long form credits. By the way, do you remember earlier when I said this is the most expensive superhero movie ever? As such, the credits for this film are incredibly long due to all the CGI work and extensive cast. Don’t worry though, the end credits is absolutely worth it and sets up amazingly for the final installment in this trilogy. In the end, the X-Men films have never engaged me as much as other film franchises. The cast and special effects are second to none, but the story always seems a little convenient. Something inevitably occurs that makes matters far more complicated than they need to be; but in many ways this movie has set the timeline straight and has given the X-Men their second chance – both on screen and in story. Seeing the interaction between these two timelines is simply amazing and even if there’s a moment or two you don’t understand, the cast and effects of this film makes it worth it. For my full in-depth analysis into the important moments of this film – and a few awesome Easter Eggs – check out my Spoiler Filled Top 10 Most X-treme Moments article. And don’t forget to Like Us On Facebook for more fun stuff.